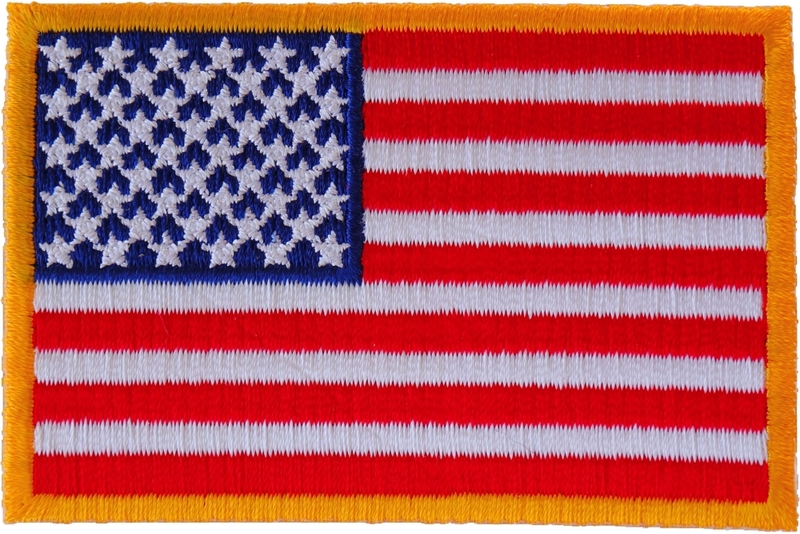 Small Embroidered patch of American flag measuring 3x2 inches. Fully embroidered with yellow borders. Are you incredibly patriotic? If you are, you may want to put a few flag patches on your jacket or vest. There are a lot of different options out there. There are some giant flag patches that you can put on the back of your jacket if you want to really make a statement. 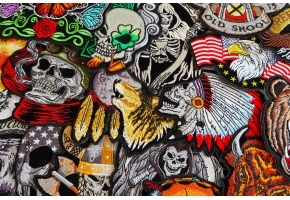 Then there are some smaller ones and some rocker patches for your shoulders or for the front of your vest. This U.S. 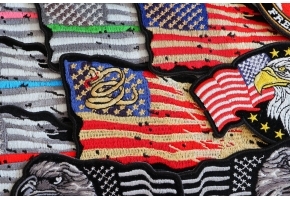 Flag Patch is perfect for adding to the sleeve or front of your jacket. This small flag patch is different from a number of other flag patches because instead of a white or black border, it has a bright yellow one. This yellow clashes a little bit with the red stripes and blue background, so it makes the flag really stand out. It's also small enough that you can iron or sew it on to a canvas belt, onto your baseball cap, or even onto a wallet. 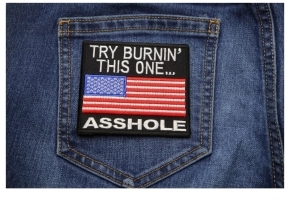 This is the perfect patch for showing how patriotic you are without going overboard. The flag is accurate, too: it has 13 strips and all 50 stars. This small flag patch measures three inches across by two inches tall. It features red, white, blue, and yellow. It can be attached to almost any type of cloth, canvas, or leather items, including jackets, vests, caps, and even belts. For most materials, you can iron the patch on. The hot iron melts the plastic backing, permanently attaching the patch. For leather or nylon, however, you'll need to sew it on so the heat doesn't cause any damage to the leather. Do you need a lot of these patches? You can order wholesale and save money. 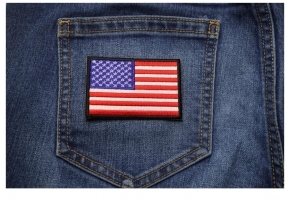 Well, to invoke the patriotic in you this US Flag Patch Small Yellow Border can be a great choice to be stitched on your denim jacket or leather vest. The looks of this patch can make it more exciting when you go wearing this jacket on a ride with the other riders. 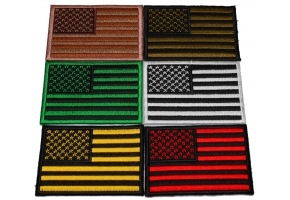 You would not only set your own trend but, you would also make sure that the other riders also buy this US Flag Patch Small Yellow Border and when the riders wear a similar kind of outfit it brings in a different feeling altogether.